You will earn 780.00 bonus points. ? The Picket House Furnishings Montego Dining Table is a great way to update your dining room! 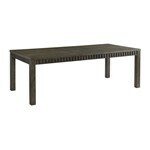 This table features an 18" leaf, making it super fast and easy to accommodate extra guests at the last minute. This rectangular table comes with a dental molding design all along the edges of the table, adding extra flair to this already stunning piece. The table provides sturdiness with its straight, poster legs. 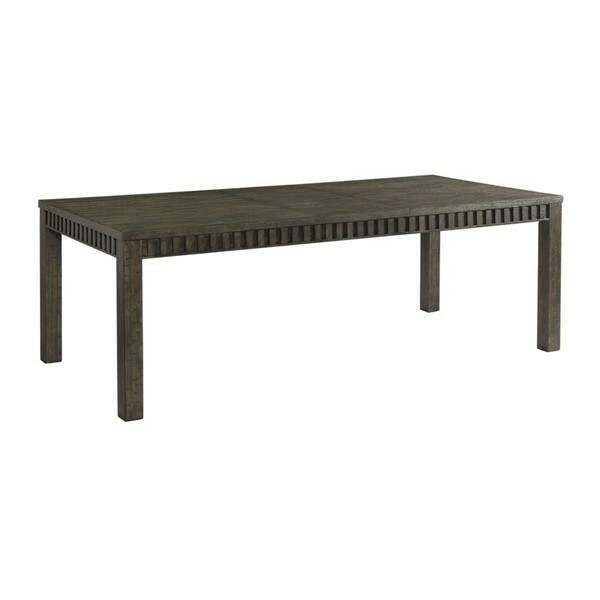 The wire brush, dark walnut finish adds the perfect touch to this table. Add the Montego Side Chairs to complete the look of your Montego Table! Floor to Bottom of Table Top : 25.5"
Table Top Thickness : 2"
Table Leg Height : 25.5"